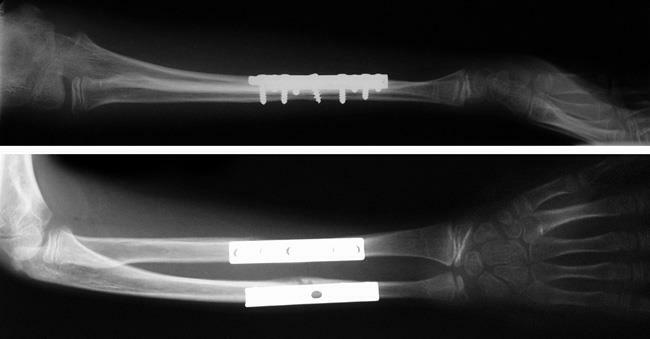 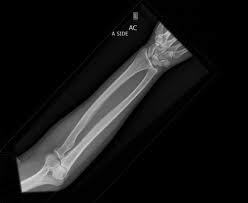 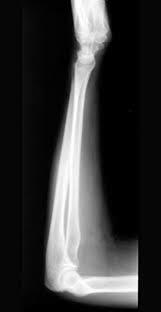 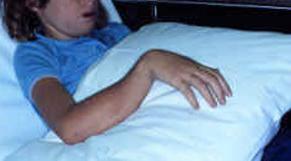 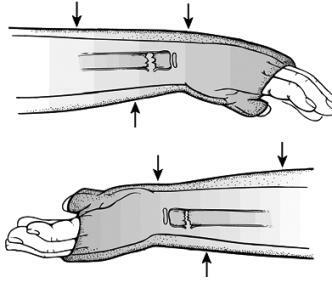 15% present with an ipsilateral supracondylar fracture or "floating elbow"
An acceptable reduction is also driven by patient age and location of fracture with younger patients having more remodeling potential and proximal fractures having lower tolerances. 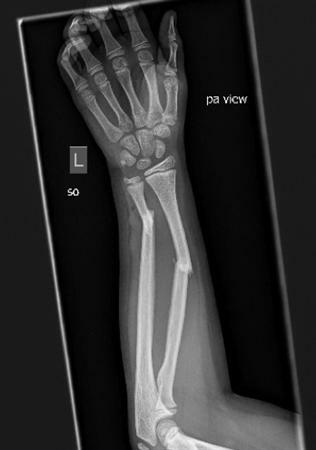 HPI - Patient presents with forearm pain after FOOSH injury when he fell while playing in the schoolyard. 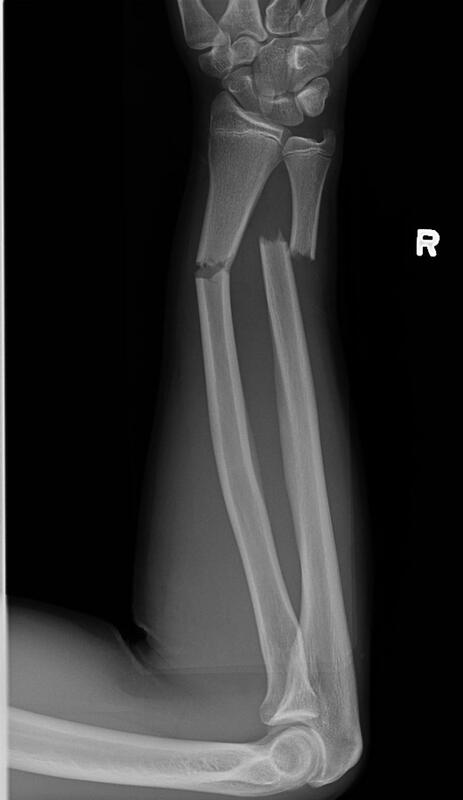 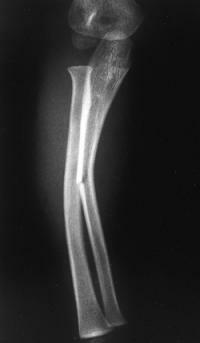 How would you manage this fracture? 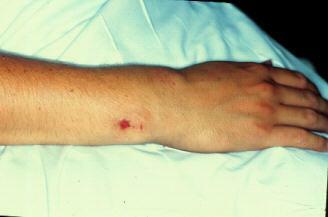 HPI - FOOSH-type injury that was managed at another hospital. 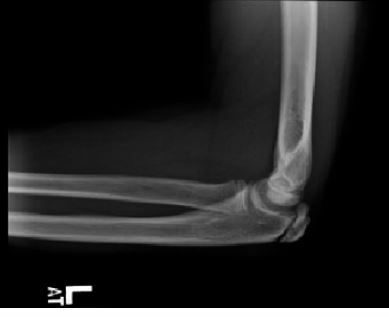 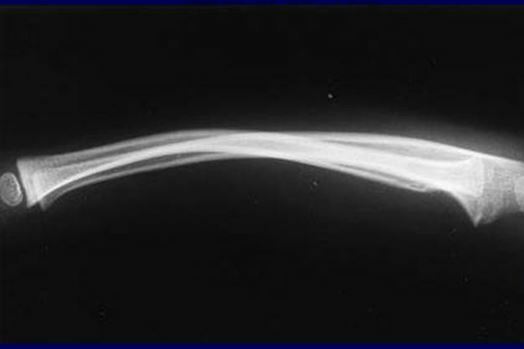 Patient was placed in the below-elbow cast. 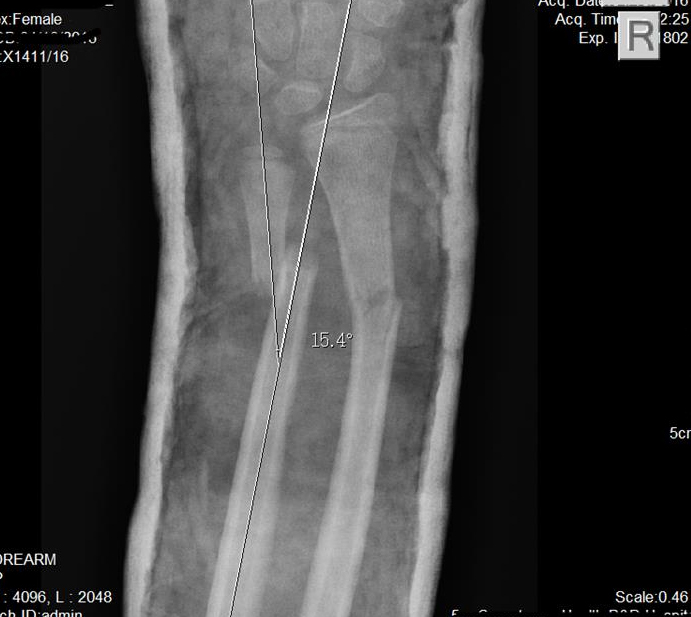 Referred to our institution for a second opinion and further management.